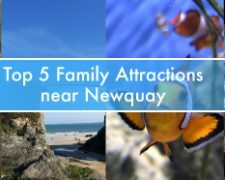 What’s your favourite beach in Newquay? Boardmasters have pulled it out the bag with the announcement of Snoop Dogg aka Snoop Lion as the third and final headliner of Boardmasters 2014. Boardmasters is the UK’s biggest surf and music festival which takes place on the picturesque Cornish coast, starting Wednesday 6 August to Sunday 10 August. The hip-hop star will joins a stellar line up including headliners and Brit Award winners Bastille as well as Chase & Status and Ben Pearce, The Cribs, Dan Croll, Palma Violets, Bipolar Sunshine, George Ezra and many more. With additional artists still to be announced festivalgoers can get tickets for Boardmasters 2014 NOW at www.boardmasters.co.uk. Above: Snoop Dogg (aka Snoop Lion) announced as third headliner for Boardmasters 2014. Photo Courtesy of Bob Bekian. Additional artists already confirmed to play across the weekend at Boardmasters Watergate Bay are 2manydjs DJ set, Duke Dumont, Roni Size, Peace, Boy & Bear, Reel Big Fish, The Cuban Brothers, Raleigh Ritchie, Coves, Kidnap Kid, My Nu Leng, TCTS, Billon, Big Deal, Lyger, Emily & The Woods, DJ EZ, Yuck, Current Swell, Decade, SouthernRoska, Toyboy & Robin, Monki, The Golden Boy, Eton Messy Presents: Friend Within, Blonde, Isaac Tichauer, Bodhi and Eton Messy DJ Set. Established in 1981, Boardmasters takes place over 5 days and is situated in two fantastic and historic locations in Cornwall. 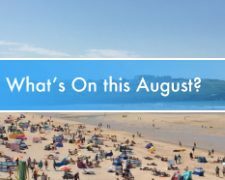 At Fistral Beach, the UK’s surfing capital, Boardmasters hosts the International Surf Competition as well as the ‘Beach Sessions’ gigs, BMX and Skate competitions. The festival continues down at Watergate Bay, arguably the most picturesque festival site in the UK with beautiful, uninterrupted views of the ocean for a weekend of explosive live music. 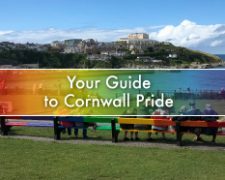 The festival has grown year on year with 2013 seeing over 150,000 visitors. Click here for Boardmasters 2013 highlights video. Boardmasters operates a tiered ticket system with price bands for tickets changing over time. The sooner you buy, the cheaper it is! A set allocation of tickets is saved for each tier, which will close when the allocation of tickets is sold out. Tier 1 is already sold out! 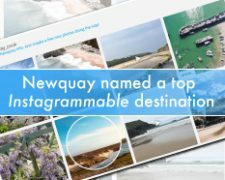 Check out how to be advertising on Newquay's first domain.